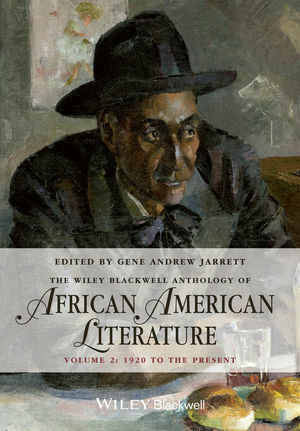 The Wiley Blackwell Anthology of African American Literature is a comprehensive collection of poems, short stories, novellas, novels, plays, autobiographies, and essays authored by African Americans from the eighteenth century until the present. Evenly divided into two volumes, it is also the first such anthology to be conceived and published for both classroom and online education in the new millennium. The two volumes of this landmark anthology can also be bought as a set, at over 20% savings. Gene Andrew Jarrett is Professor and Chair of the Department of English at Boston University. He earned his A.B. in English from Princeton University and his A.M. and Ph.D. in English from Brown University. Jarrett is the author of Representing the Race: A New Political History of African American Literature (2011) and Deans and Truants: Race and Realism in African American Literature (2007), and the editor or co-editor of several volumes and collections of African American literature and literary criticism. He is the recipient of fellowships from the Andrew W. Mellon Foundation, the Woodrow Wilson National Fellowship Foundation, and the Radcliffe Institute for Advanced Study at Harvard University.